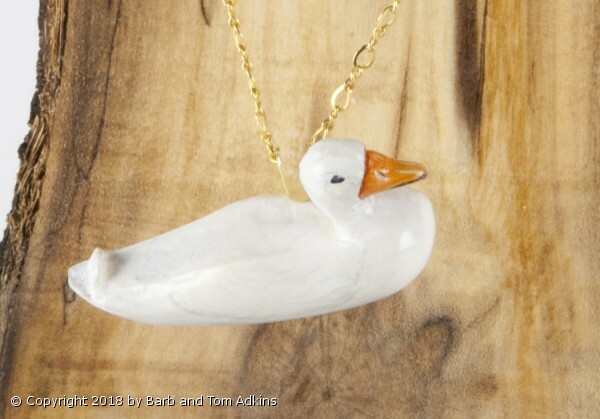 This white Duck Necklace is almost fully 3 Dimensional. We made it with a flat back so it would nicely lay flat and not flop around. We have not realized the necklaces don't flop that much so fully 3 D is a great possibility. See our Fully 3D Blue Jay Necklace. 14Kt Gold Filled Necklace can be size, 18", 20", or 24" length. We create custom orders. We have made many different animals and can make any bird of your desire.